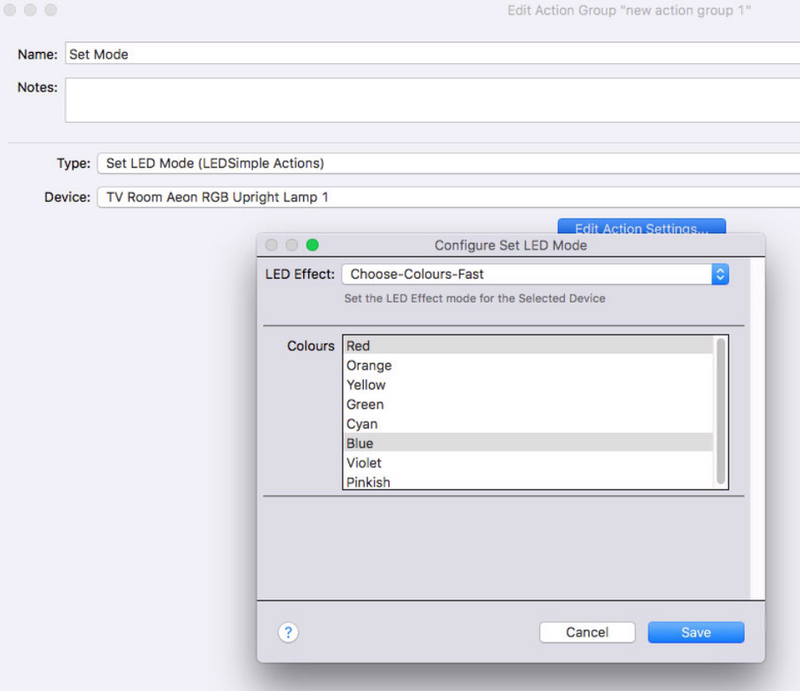 Basics of this plugin are to support the various modes, colour cycling of these devices without the need for repeated Z-wave traffic. 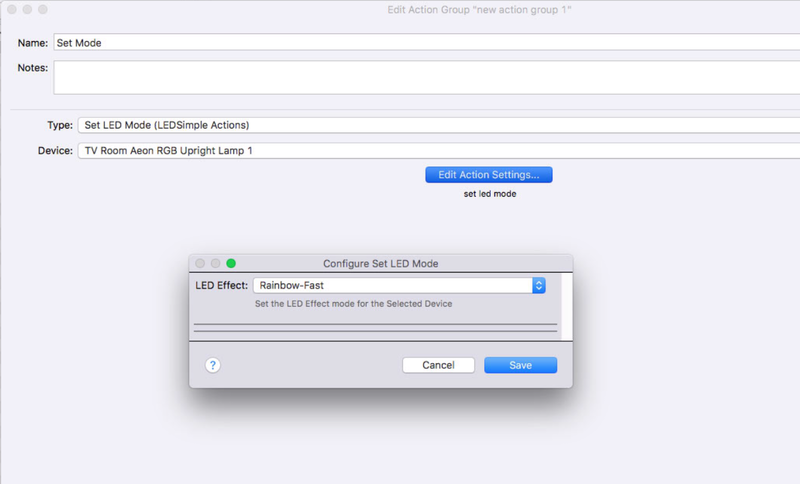 This can be done with a modified parameter z-wave command for each device, without this plugin. 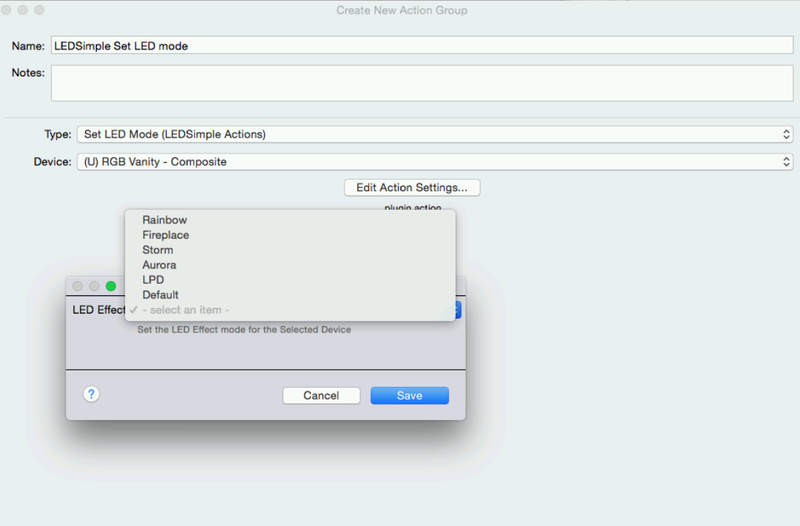 The Plugin - essentially doesn't run unless a action command/group is executed. 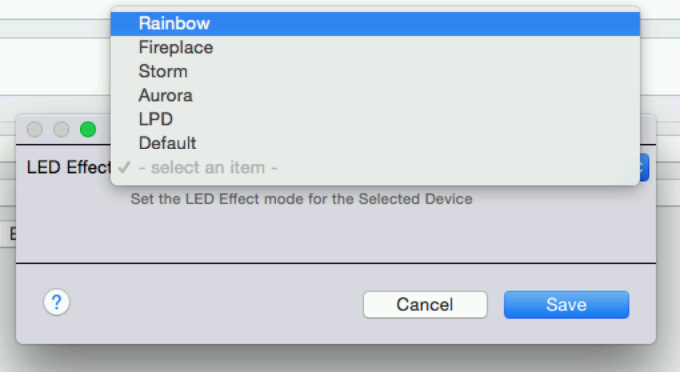 These are the pre-programmed Fibaro modes - so there is no Z-wave communication during the light changes - simply this command to start and/or end the process. In my mind the various default modes cover most basic usages and limits any Z-wave traffic issues that might occur with other solutions. 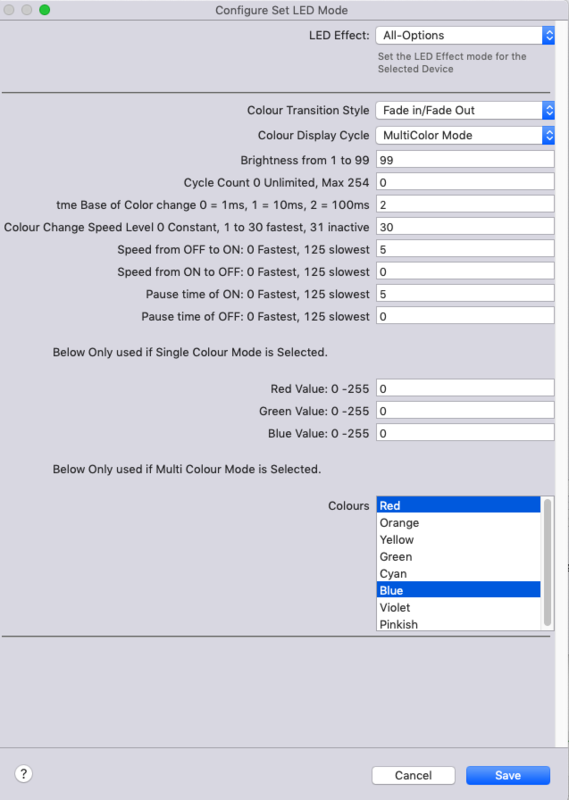 You can select all colours or some, with use of the command key to multi-select.